His Holiness Aram I was born in Beirut, Lebanon in 1947. 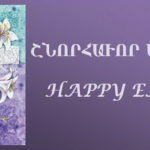 He studied at the Armenian Theological Seminary in Antelias, the Near East School of Theology in Lebanon, the American University of Beirut, the Ecumenical Institute of Bossey in Switzerland and at Fordham University in New York. 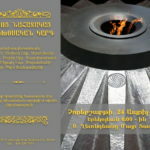 His major areas of specialization are philosophy, systematic theology and Near Eastern Church history. He holds an M. Div., an S.T.M., a Ph.D. and several honorary degrees. 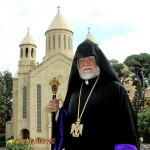 ECUMENICAL RELATIONS Since 1950’s ecumenism has been a major concern of the work of the Catholicosate. Its lay and clergy representatives participate actively in the meetings and conferences of the World Council of Churches (WCC).The ecumenical engagement of the Catholicosate was given a more organized form after 1962, when it became a member of this world family of churches. 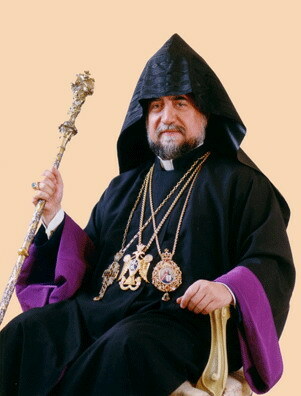 During the General Assembly in Nairobi, in 1975, Bishop Karekin Sarkissian (the late Catholicos of Etchmiadzin) was elected as a Vice-Moderator of the Central Committee (a position he held until 1983). At the 7th General Assembly in Canberra, in 1991, Archbishop Aram Keshishian (His Holiness Aram I), became the first 0rthodox, the first Middle Easterner and the youngest person ever to be elected Moderator of the Central and Executive Committees. His Holiness was re-elected at the 8th Assembly of the World Council of Churches in Harare, Zimbabwe, in 1998, and served in this capacity for an unprecedented 15 years until 2006.